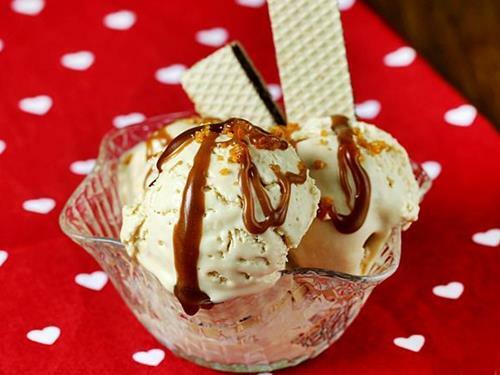 Easy Ice cream recipes – Making these 15 delicious Ice cream recipes at home is very simple and easy. Whether you have a Icecream maker or not, you can make these Homemade Ice cream recipes with the help of my simple step by step photos. These are great to make anytime for kids’ parties & celebrations. All the Ice cream recipes shared here are eggless and made without colors and artificial additives. These turn out to be much more creamy and rich than the Icecreams available in tubs. The best part about these homemade Ice creams is they can be made with best the quality milk, cream and sugar. We can also control the quantity of fats and sweeteners. To make these recipes use whipping cream or heavy cream. If you live in India then you can use amul cream with 25% fats or milky mist fresh cream. 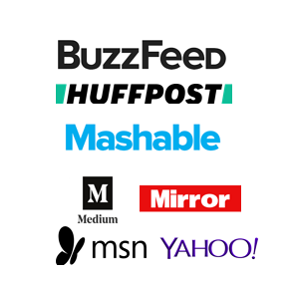 I have shared more details in the posts. Mango ice cream recipe made with fresh mangoes and cream. 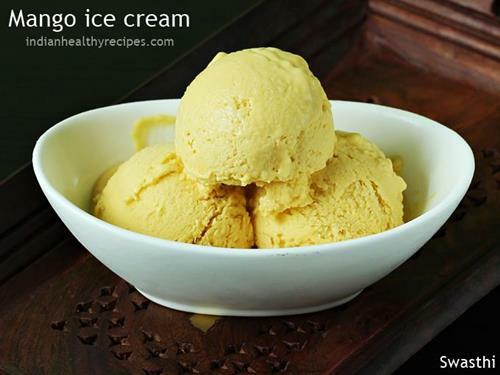 I have shared 2 recipes to make mango ice cream in this post. 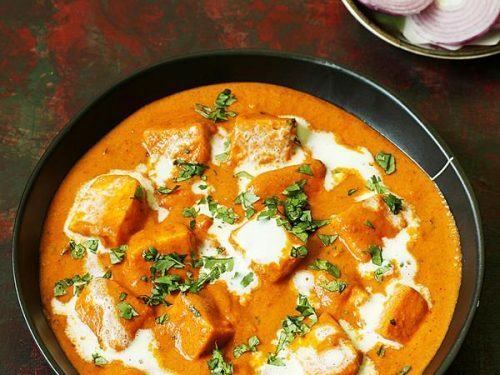 This is great to make when ripe mangoes are in season. However the recipe works even with canned mango pulp. Pistachio ice cream made with full fat milk and cream. This is one of the most delicious I have ever made. It is a kids’ favorite at home and is great to have it on the kids’ birthday party menu. This can be made with and without a icecream machine. You can also make this in a kitchen aid. 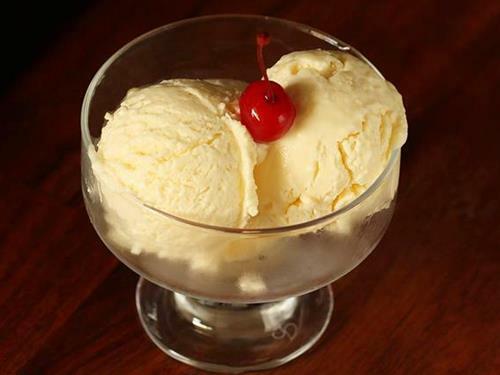 No churn vanilla ice cream made without a machine. It is eggless & is a beginners post. 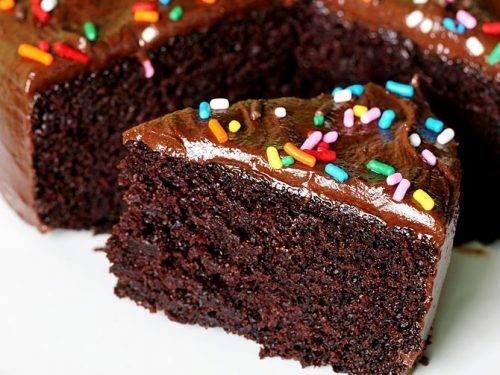 I have shared 2 recipes in this post. One with condensed milk and the other with corn starch. 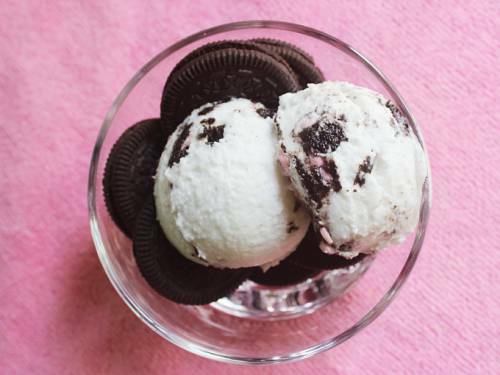 This is a detailed post on how to make the basic ice cream. You can also add in some tutti fruttis, choco chips or nut butter for variations. 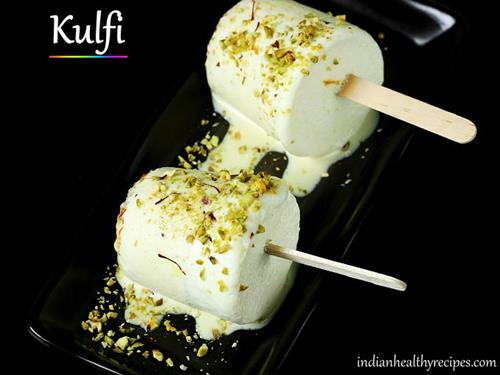 Kulfi Ice cream – India’s most popular ice cream made with milk and cream. 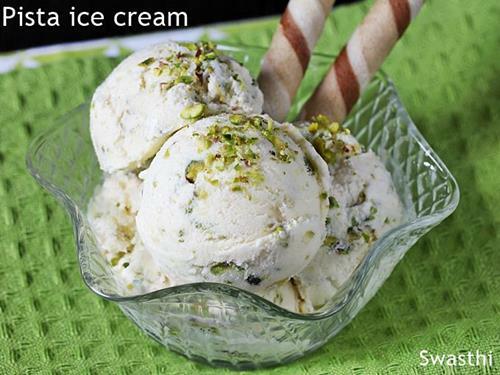 It is flavored with green cardamom, saffron and pistachios. 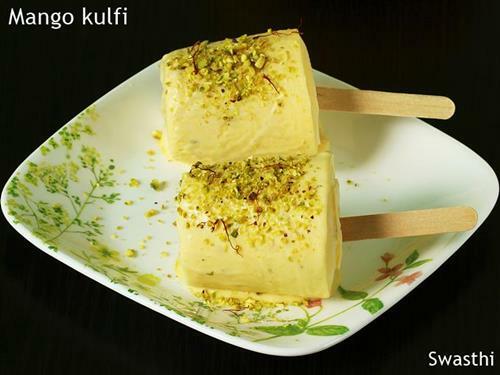 Kulfi is made by simmering milk until it thickens and then frozen in the moulds. In this post I have shared the quick version of making kulfi to reduce the cook time. Mango kulfi recipe is another variation to the basic kulfi but is an instant version and no cook recipe. 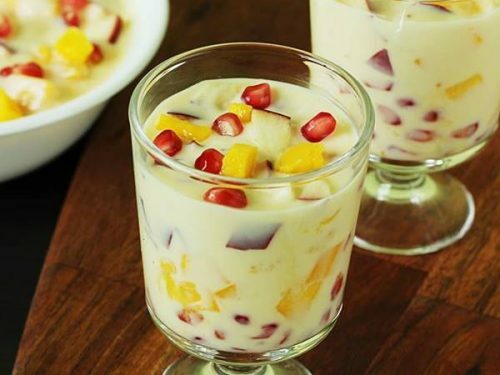 This is a must try during the mango season & has always been an hit at home not only with kids but also with the grown ups. 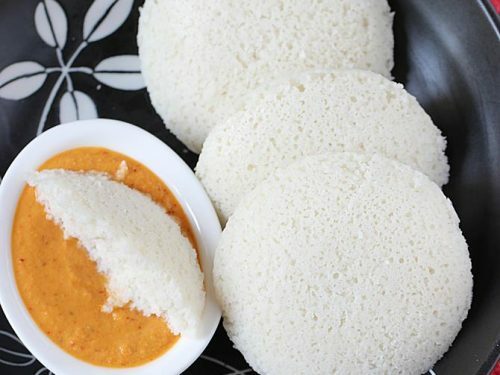 It tastes delicious and creamy with the real flavors of ripe mangoes. 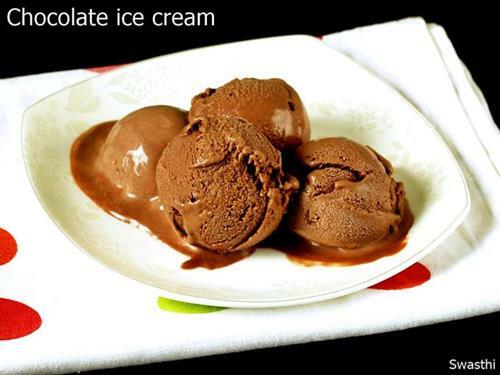 Chocolate ice cream: I have shared the easiest recipe to make delicious & creamy chocolate ice cream just with sweetened condensed milk, cream, vanilla and cocoa powder. The recipe just takes about 10 mins to whip apart from the freezing time. Butterscotch Ice cream made with homemade butter scotch sauce and praline. This recipe can also be made with butter scotch chips and store bought praline. 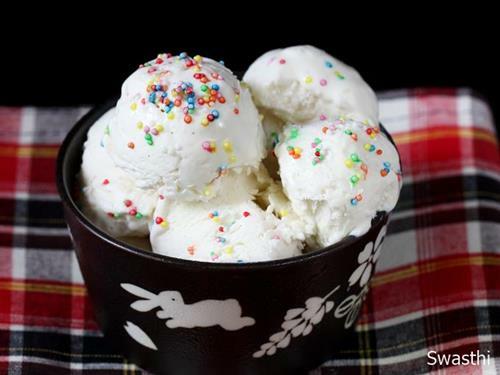 Custard powder Ice cream – Eggless icecream made using custard powder as a base. There is no condensed milk or eggs used in this recipe. This can be made with or without a machine. Mint ice cream is made from fresh mint leaves and best quality chocolate, this is one of the most delicious dessert with flavors of fresh mint leaves. 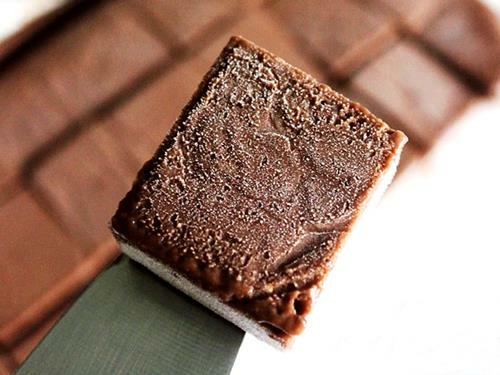 Chocolate banana ice cream fudge – A rich, delicious and healthy freezer fudge made without cream. This is a great treat to kids during summer. 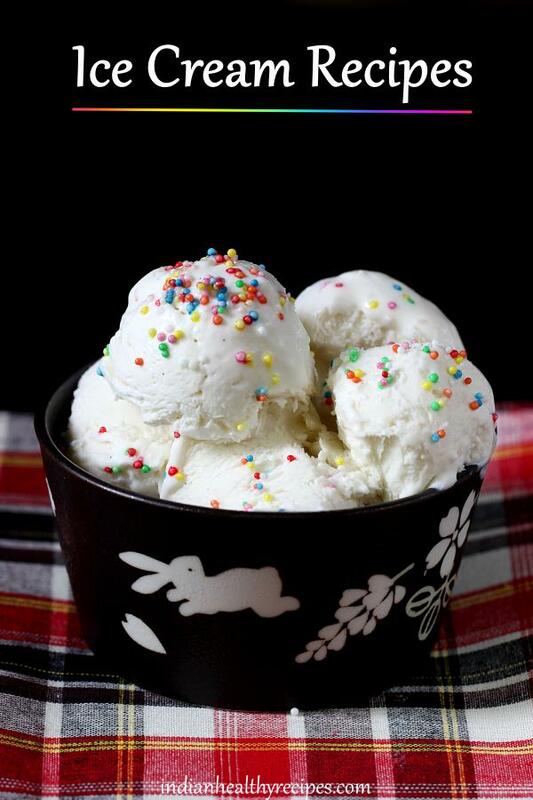 Eggless vanilla ice cream recipe made in kitchen aid. You can also know the basic Icecream making steps here. 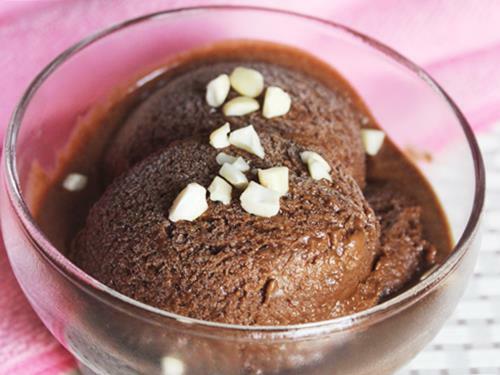 Chocolate banana ice cream : This can be made vegan. Made from banana, cocoa and cream. To make it vegan just skip cream and use some soaked almonds or cashews. 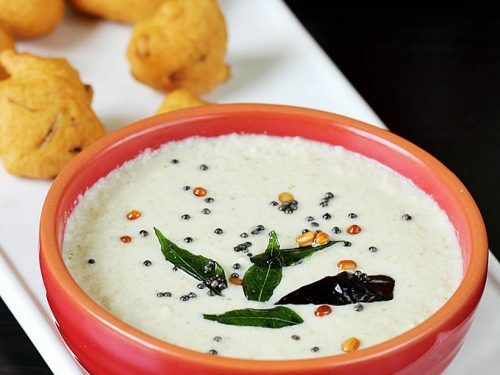 Ore cookies and coconut cream ice cream – If you are not a vegan, you can replace coconut cream with whipping cream, heavy cream or cream with 25% fats like amul cream. 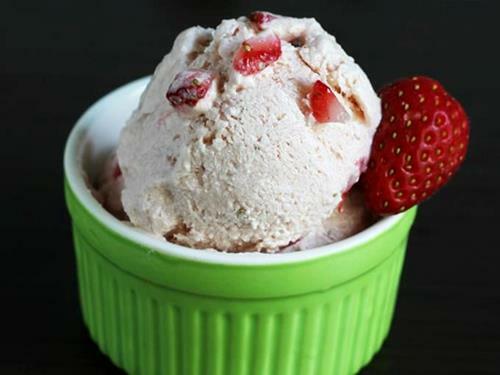 Strawberry ice cream made with just 3 ingredients. This can be made using just a blender. 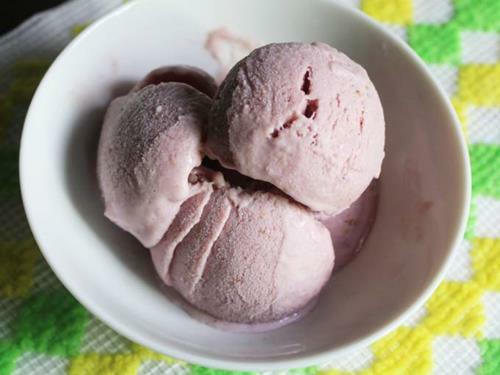 This post shares 2 methods to make strawberry ice cream. Using a blender & the other using a hand or stand mixer. It can also be churned in a ice cream machine. Vegan strawberry ice cream made with strawberries, almonds & bananas. 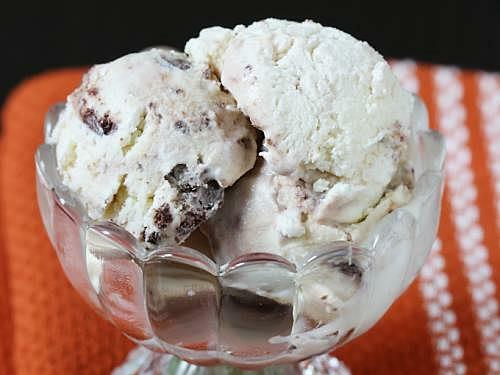 There is no sweetener used in this recipe and bananas sweeten the ice cream naturally. 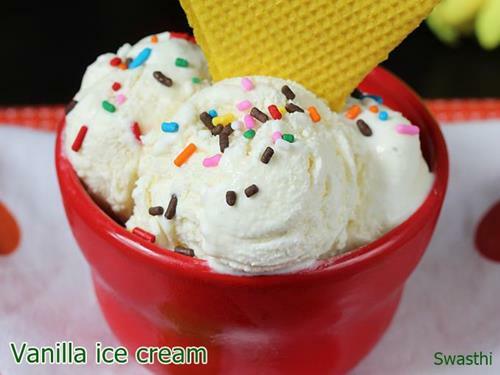 This is a delicious ice cream you can make using a high speed powerful blender. It is mouthwatering. 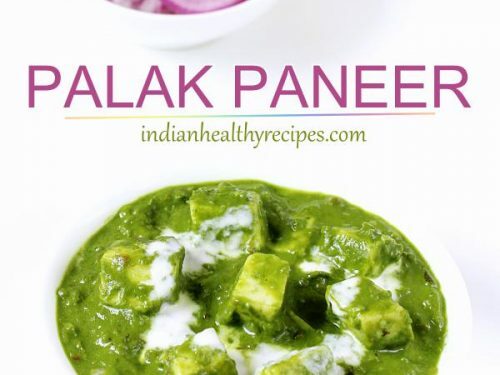 Mam please share your all recipes. I am pure Veg. I would love to learn. Liked it so so so much thanks for putting them in net…..
You are just really good to share such wonderful recipe’s with us. Love those ice cream recpes. Thanks for sharing.